Analyze and Prove Out Control Logic before Roll Out. Identify Potential Buffering Problems, Conveyor Speeds and Equipment Interaction. Identify AGV/STV Optimum Path and Intersection Behavior. Prove Out Merge Logic, Slug Length and Priorities. Perform Robot Analysis & Multiple Robot Interactions. 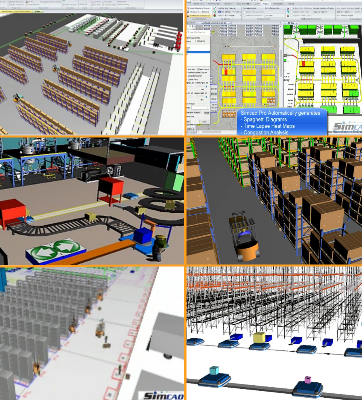 Increase conveyor efficiency using dynamic simulation software - Simcad Pro. Inter-warehouse or inter-factory movement is vital to the success and efficient running of any logistics business. Because there are so many different variables that need to be considered when thinking about conveyor systems, it is useful to weigh all of the available options. 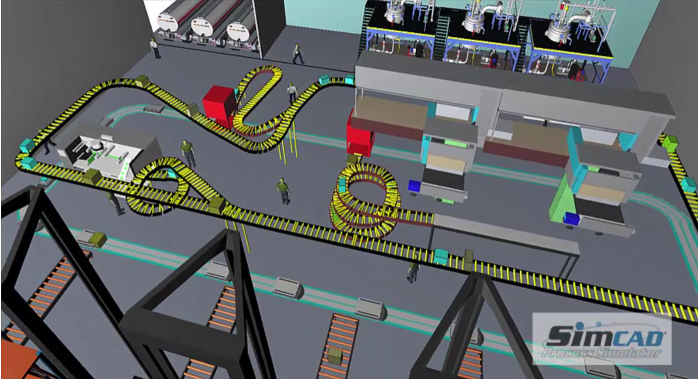 Because this can a costly and time consuming project, Simcad Pro allows the users to implement different conveyor systems to optimize efficiency and cut costs. 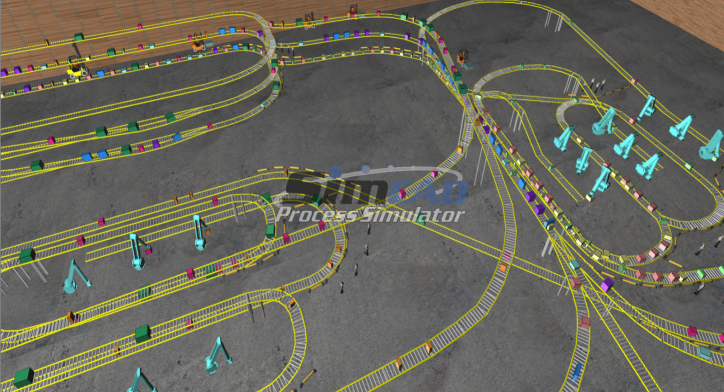 Simcad Pro’s patented dynamic simulation engine allows the users to create, observe and analyze different conveyor behaviors and how each one affects the overall productivity of the system. 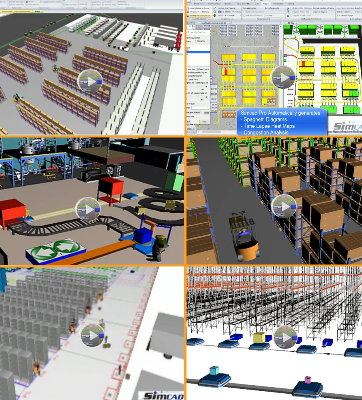 Simcad Pro allows different users to collaborate on the same project, allowing each to add their own annotations and information to the model as it expands. 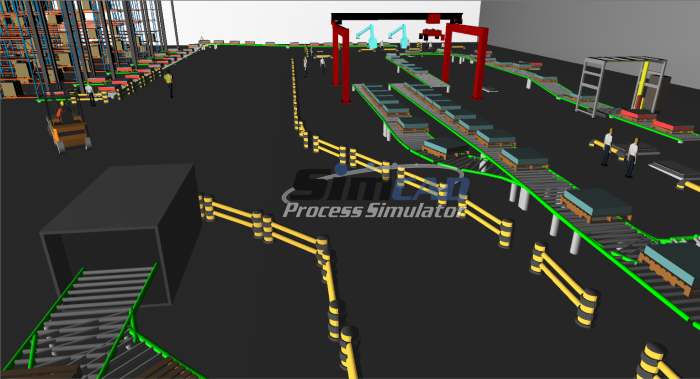 Through the different settings within the Simcad Pro system, users can change between a push/manual conveyor system and an automated conveyor system. These changes can be made “on-the-fly” so the users can see immediately how such changes will improve or change their current system. Within the model, the users are able to see where backups or bottlenecks are occurring. Because they are able to visualize where problems are occurring, they can make necessary changes. Conveyor types, settings, timings, pathways, etc…can be changed in order to reduce bottlenecks and increase productivity and efficiency. 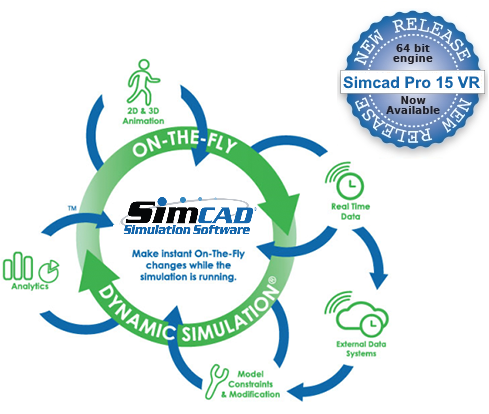 Simcad Pro allows the users to import historical data and retrieve live data from external sources in order to generate quality, reliable information. Simcad Pro’s dynamic simulation software allows the users to import CAD layouts into the model to ensure the correct distances are calculated to generate the most accurate data possible. From there, different pathways can be investigated in order to find the most efficient way to get products from one place to another. Data is generated immediately to show the users the different effects the changes have made to the system as whole.